Lacoste founded in 1904 is a lifestyle brand, born of the inventiveness of a tennis champion, René Lacoste, who created the first polo shirt ever, initially for himself and for his friends, to be both relaxed and elegant on and off the tennis courts. Nicknamed the Crocodile by the press in the late 1920’s when he was a multiple Grand Slam tennis champion, René had the animal embroidered on the blazer he wore on court, before making it the logo of his famous polo shirt. The brand is famous today for its iconic polo shirt, available in a wide colour palette every season, but more broadly offers sportswear apparel for men and women, as well as shoes, eyewear, watches, fragrances, handbags and luggage, belts and home textile. 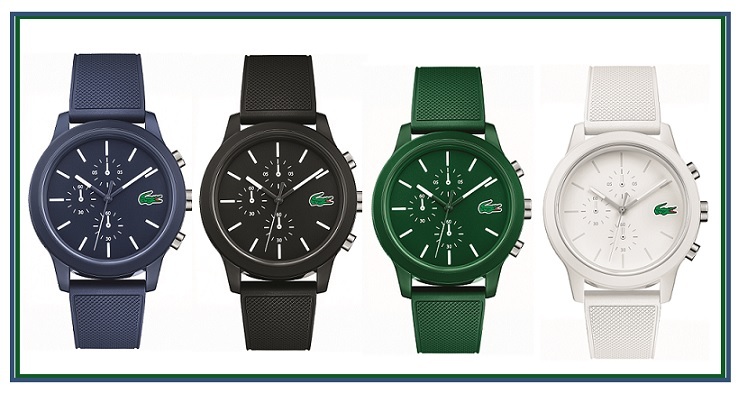 LACOSTE.12.12 collection is available in a three-hands or chronograph version. True to the brand’s DNA and inspired by the iconic polo shirt, these two new models show time elegantly by opting for … see more.. Check out the new arrivals and Ramadan collections on Lacoste apparel, shoes, leather goods and accessories. Shop now! Lacoste Last Chance Sale Enjoy up to 50% discounts on Lacoste apparel, shoes, leather … see more..